Knowing how often to breastfeed a newborn isn't difficult as they normally want to be fed on demand. For the first two to four weeks, this is normally 8 to 12 times every 24 hours. Well-meaning friends and family may advise you to breastfeed less often, but you and your baby know best. Watch the little one for feeding cues like increased alertness, suckling and mouthing. If your baby is asleep during the day and doesn’t show any feeding cues in a three hour period, wake it for its feed. During the initial period of the baby’s life, some sessions can take up to 45 minutes. Patience and persistence are often required when the baby’s sleepy. Cluster feeding, where the baby feeds several times in quick succession, is normal. 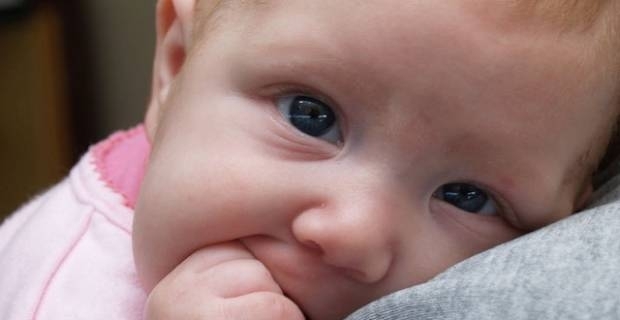 During the first few days of the baby’s life, healthy babies may require hourly breastfeeding. This is especially true during the evenings and at night times. There’s no uniform time scale for weaning a child off breast milk. You will most probably know when the right time arrives. If not, the baby will eventually wean itself off breastfeeding. This is normally when the baby gets busier. Crying in a very late sign of hunger and it can make breastfeeding far harder, so watch for the feeding cues. Be aware that using a dummy can interfere with the baby’s feeding routine and lengthen the time between feeds. It’s a good idea to wait until at least the fourth week before offering the little one a dummy. Breastfeeding: The Best Clothes for Comfort, Convenience and Style! Need to buy some baby dungarees?